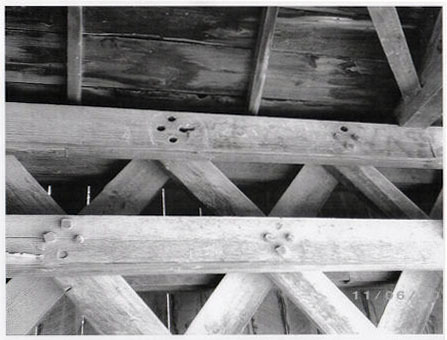 Vermont Agency of Transportation has been assigned the task of preparing an engineering study for the Kingsley Covered Bridge in Clarendon, Vermont. The present bridge Priority of Uses as defined by the Historic Covered Bridge Preservation Plan is "Special Use on Roads." In this case vehicles are limited 3 tons. 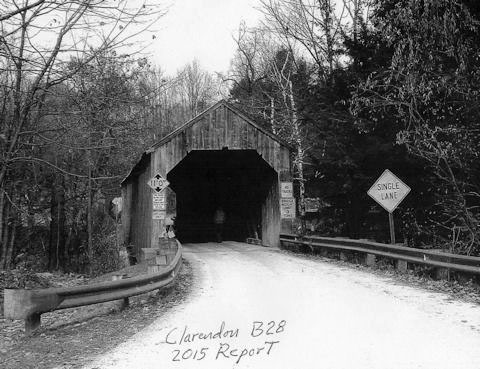 The engineering study will be presented at a meeting of the Historic Covered Bridge Committee and all review comments will be incorporated into this study. The purpose of this engineering study is to present rehabilitation recommendations for Bridge No. 28 (Kingsley Covered Bridge) over the Mill River in Clarendon, Vermont. The engineering study was conducted in a manner consistent with current engineering manuals and specifications. For those readers not familiar with engineering and/or covered bridge terminology, a glossary of terms has been included in this study. 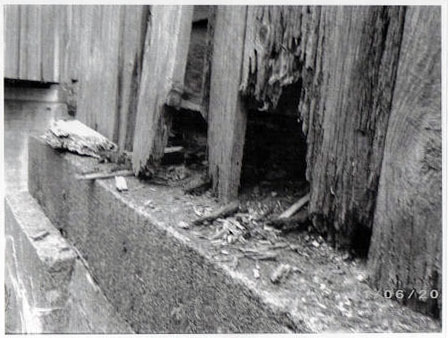 The engineering study was compiled after review of numerous sources of data including written reports and photographs taken during site visits. The intent of this study is to determine structural damage deficiencies and to recommend solutions which best address the purpose and need as defined below. 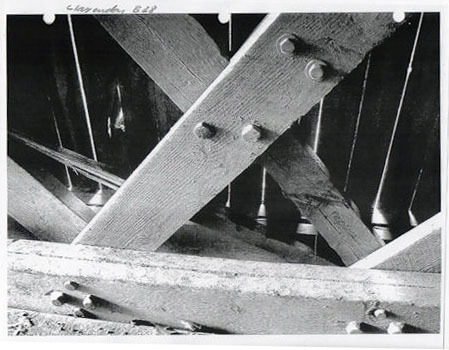 Purpose: The purpose of the project is to evaluate the Kingsley Covered Bridge for continued Special Use on Roads (limited to 3 tons) crossing the Mill river in Clarendon, Vermont. Need: The Kingsley Covered Bridge was last inspected by VTrans personnel in November of 2014. 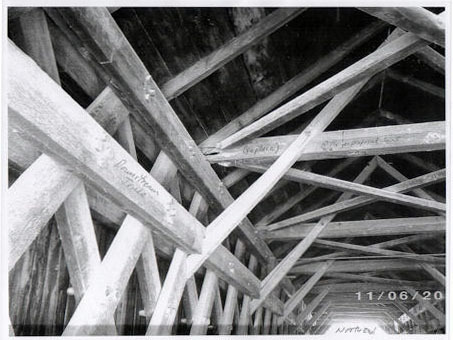 They determined that the condition of the bridge would require repairs to the lattice truss superstructure. Some replacement of the superstructure elevation boarding is also required. The Kingsley Covered Bridge was built in (approximately) 1870 and is a single span town lattice bridge measuring 120.6 feet from end to end. The bridge has been repaired various times throughout its lifetime, but appears to have maintained its original character of construction. VTrans personnel have recently visited the site. At the last site visit in November 2014 detailed inspection occurred and items of repair work were noted to be addressed. Only a limited list of repair items are addressed by this engineering study. The eighth cross tie from the north end of the bridge is to be repaired. Also, missing trunnels in the lattice truss are to be replaced. Both north and south bearing blocks on the downstream side of the bridge are to be replaced. New siding is to be installed in the truss bearing areas on the downstream side of the bridge superstructure. All untreated components of the wooden superstructure (except flooring) are to be treated with fire retardant and fungicide/insecticide coatings. Estimated Cost of repairs is $123,050. This includes timber coating fire retardant at $12,500, and timber coating termiticide, insecticide/fungicide at $12,500. Discussion of the best material with which to replace the rotted bearing blocks on the downstream side of the bridge, suggested that green black locust would be superior to the traditional oak.